Choose any of the packages below and make your stay in the Allegheny National Forest Region a memorable getaway. Offers include romantic weekend getaways and military discounts. 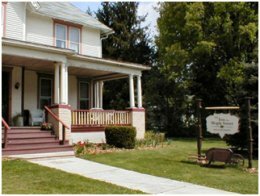 Conveniently located off Route 219 this new hotel is within walking distance to the Bradford National Historic District and its restaurants. 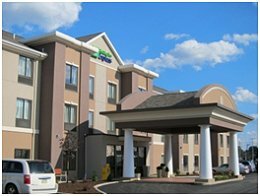 Located close to Tunungwant Creek, and minutes from the Marilla Reservoir, and the Allegheny Reservoir, the Holiday Inn Express offers close proximity to many streams. Show your fishing license and receive a 10% discount. Please call for availability and current pricing. 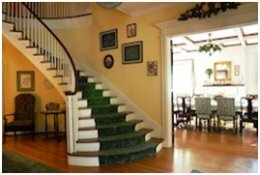 In this family and pet friendly Bed & Breakfast you can relax and enjoy the small town atmosphere of yesteryear in the beautiful mountains of northwestern Pennsylvania. Let the Inn thank you for your service and bring a loved one and the kids. At a rate of $35, this package includes freshly home baked breakfast and refreshments in the afternoon. Enjoy gas fireplaces, unlimited cable channels, and free wireless internet. Call if you have questions about eligibility. Valid through 2016. Book a weekend away! Check in on Friday night at The Inn on Maple Street and enjoy a local Fish Fry dinner at your choice of restaurant. Please call for availability, eligibility and current pricing. Package includes one night’s lodging, fine chocolates, fluffy robes, scented candles, an hors d’oeuvres platter and beverages before dinner, crystal champagne glasses in the room, romantic CDs and a CD player and a $25.00 gift certificate towards dinner at one of the fine local restaurants in Bradford. In the morning you may choose to have a tray brought to your room with hot coffee, juice and pastries or enjoy a delicious breakfast in the formal dining room. This package offers a 25% discount on one overnight stay when presenting your Geotrail Passport with a minimum of 5 stamps recorded. With more recorded stamps you will receive additional discounts. Choose between several beautiful golf courses in the area. Receive a 25% discount on your stay at this Inn and make this the perfect golf getaway. 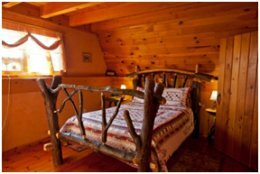 Located near the Allegheny National Forest in the beautiful Oswayo Valley, Oz’s Homestay is perfect for a romantic getaway, or an active weekend playing in the outdoors. Stay two nights-get a third night FREE! Get a hearty hot breakfast with your overnight stay. Nearby you can find the Allegheny River and a variety of native brook streams that provide all the excitement you expect during fishing season. Your on-site hosts Ash and Celiene can help guide you to the best fishing holes! Holiday Valley on 6557 Holiday Valley Road is a family friendly year ’round resort in fun loving Ellicottville, New York. 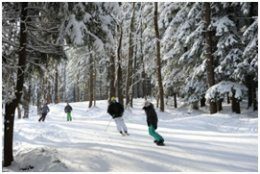 Winter activities include skiing and snowboarding on 58 slopes and 13 lifts plus a Mountain Coaster and Tubing Park. Lessons and equipment rentals are available on site. Stay at the Slopeside Inn at Holiday Valley plus day and night skiing. Enjoy the indoor/outdoor heated pool and hot tub, and receive free breakfast. Up to two kids age 17 and under ski and stay free. $620 for two nights for two adults.